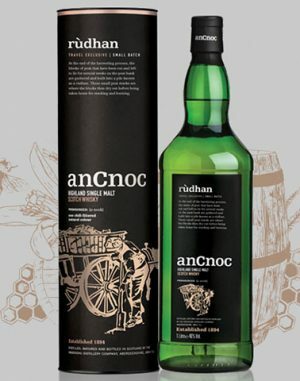 an Cnoc (a-nock) is actually produced at the Knockdhu distillery which is situated in the picturesque village of Knock in Aberdeenshire, up in the north east corner of Scotland. In 1892 John Morrison bought the Knock estate from the Duke of Fife, following the discovery of several springs on the southern slope of Knock Hill. The surrounding land was full of peat and barley and the Great North Railway line ran nearby. John saw a golden opportunity. 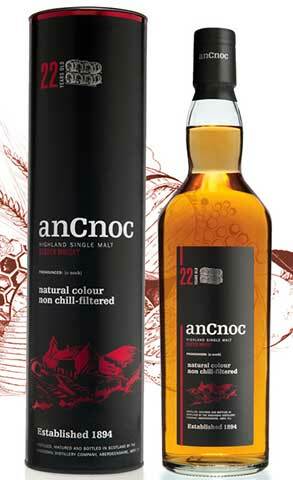 Knockdhu opened its doors in October 1894 and the methods used to make anCnoc have hardly changed in over 100 years. It remained in continuous operation until 1931, when it was forced to close for a few years due to the economic depression. Wartime restrictions on barley forced a second closure from 1940-1945. Knockdhu was again closed in 1983, but was sold to Inver House in 1988, production resumed in February 1989. Previously named Knockdhu after the distillery, it was renamed an Cnoc in 1994 to avoid confusion with Knockando. 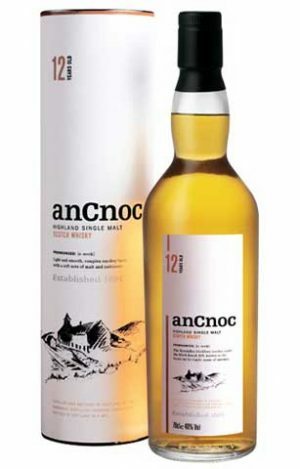 The anCnoc 12 year old (a-nock) is renowned the world over. Known as a must-have in any whisky drinker’s collection, it’s light and yet complex. Smooth yet challenging. And each twist and turn delivers a surprise. 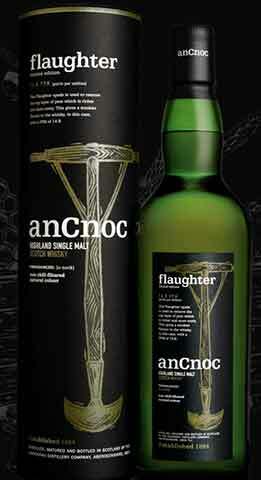 In fact, this is a dram that has something for everyone. 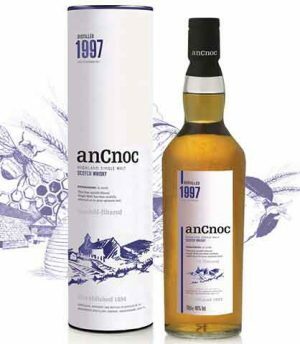 This 14 year old Vintage 1997 anCnoc was bottled and released in 2011. On the palate this dram is soft, very aromatic with a hint of honey and lemon in the foreground. The finish was fruity, long-lasting & smooth. 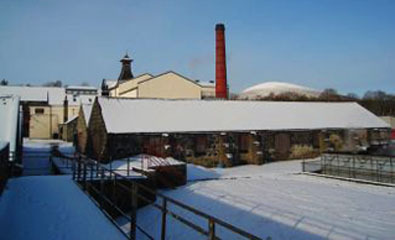 Knockdhu Distillery’s enduring charisma echoes the timeless allure of the nearby Knock Hill, known to the locals as the Black Hill. It is the source of the springs which bring the whisky to life and in whose shadow the Distillery has flourished since 1894. 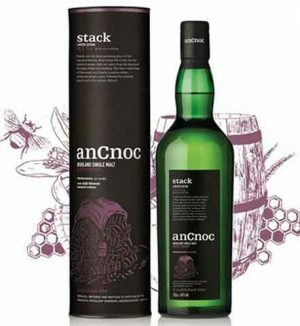 Gaelic for Black Hill, Knockdhu remains rooted in traditional production methods, yet the refreshingly modern personality of anCnoc Highland Single Malt Scotch Whisky conveys its contemporary outlook. 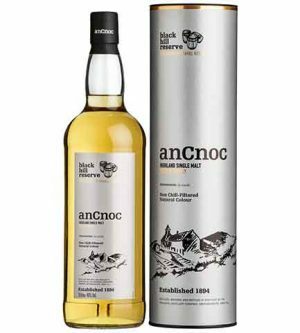 An outstanding addition to the range of whiskies, Black Hill Reserve is testimony to the finest qualities of anCnoc. Matured exclusively in first fill American oak ex-bourbon casks. The Rascan tool is used to break up the top level of rough ground and prepare the land for peat harvesting. It clears the heather turf to expose the peat used to produce a whisky, in this case, with a PPM of 11.1.. The term ‘stack’ refers to the last step in the gathering process, where the peat blocks are stored together to dry ahead of being burnt. Matured for more than 10 years in American oak ex-bourbon barrels, Stack has a full-bodied smoky finish owing to its phenol content of 20 ppm. A limited edition of just 6,000 bottles released worldwide. 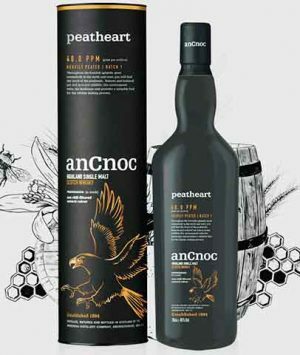 This is the smokiest whisky yet from the anCnoc range - 'Peatheart'. A natural resource, peat was historically embraced as fuel to fire the still and dry the barley for the distillation of whisky. It is traditionally cut by hand using several traditional cutting tools. Peatiness can be controlled by the amount of peat burnt and the humidity of the barley. Peat smoke produces chemicals called phenols and it is by its phenol content that a whisky's 'peatiness' can be measured. This phenol content is expressed as PPM (parts per million) Peatheart uses barley malted to 40 PPM. 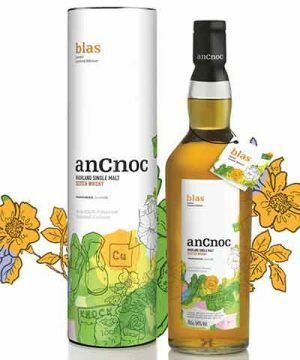 (as a reference, Highland Park is about 20 PPM) Peatheart’s 40 ppm is the actual phenol content of the malted barley, whereas on previous anCnoc peated expressions the ppm was the measurement of the phenol content of the liquid. 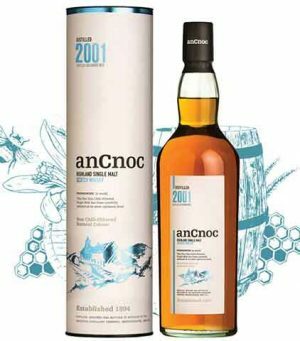 The anCnoc 2001 Vintage has been matured in both Spanish (dark fruits) and American oak (vanilla, honey) casks for over 15 years in traditional dunnage warehouses. Non chill-filtrered, no colouring and it is bottled at 46 % abv. "honey, vanilla, oranges, sultanas. Apricots once again and – yes – baked apples in syrup once again. A little ale. That lovely aftertaste from orange marmalade on toast. A touch of chocolate, but more milk than dark"
Blas, Gaelic for ‘taste’, has been created in partnership with Scottish fashion designer Patrick Grant. 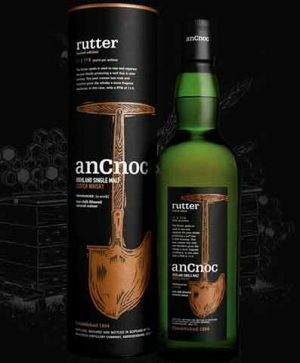 The unique bottle and tube design embodies everything anCnoc represents; its Highland home, rich heritage and the spirit of A Modern Tradition. This collectable limited edition expression has been matured in a combination of bourbon and sherry casks, (Spanish and American oak) and has been bottled in its most natural form, not chill-filtered or coloured. 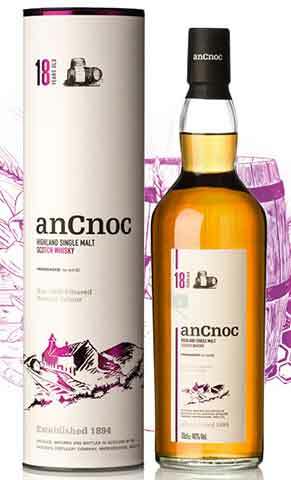 The anCnoc 18 Year Old has matured in Spanish oak ex-sherry casks and American oak ex-bourbon barrels and has been bottled in its most natural form, neither chill-filtered nor coloured. "Sweet, spicy and full of sherry goodness. lots of oak playing first violin here, spiced oak, it’s a lovely ending to a delicious dram. 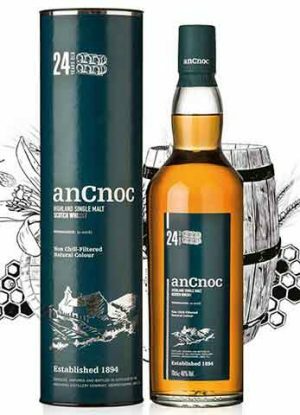 Splendid"
Not normally seen in Australia, this 24 year old Highland Scotch Whisky from anCnoc won Silver at the IWSC in 2017. Bottled in its most natural form – neither chill-filtered nor coloured. "Absolutely astounding whisky. Great complexity with herbs, oranges, spices, leather, sherry fruit, awesome oily resins. 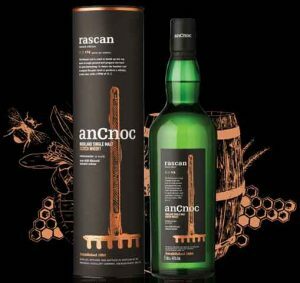 Best value for money"
The dark, smoky side of anCnoc has proven a real hit with whisky enthusiasts, a fact highlighted by the recent award for anCnoc Cutter. Barrow boasts a 13.5 ppm phenol content at 46% ABV. It also hasn't been chill-filtered or coloured. 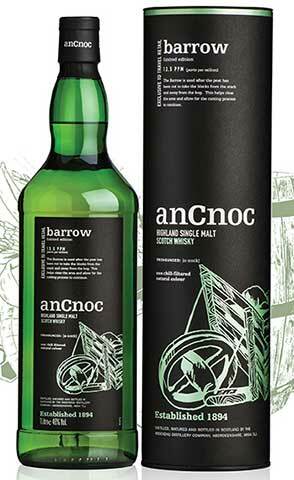 Barrow is limited to only 7,500 bottles worldwide. 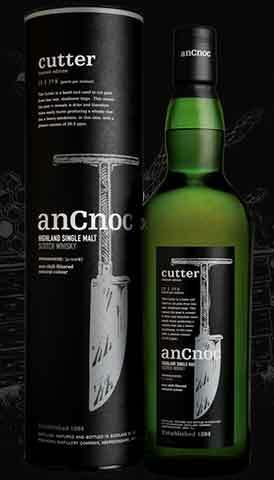 Wholly maturing anCnoc in American bourbon barrels allows the characteristic intense citrus notes to shine through. 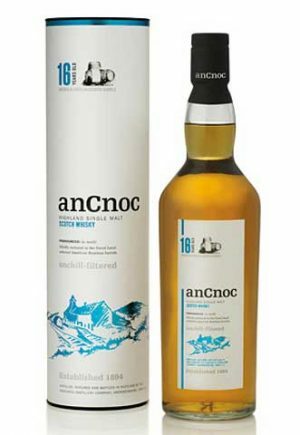 anCnoc 16 Years Old has been bottled in its most natural form, as it’s neither chill-filtered nor coloured.